These were the ideas that guided the conversation of Hay Festival Medellín 2019. 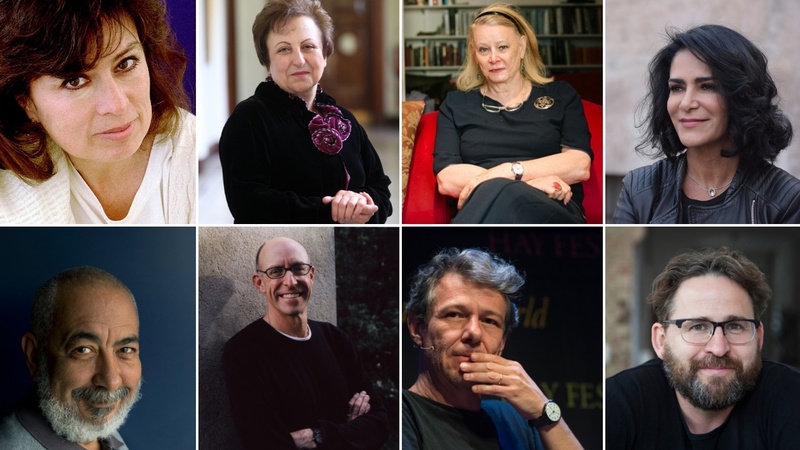 For the Hay Festival Medellín 2019 authors such as Shirin Ebadi, Deirdre McCloskey, Michael Pollan, Leonardo Padura, Laura Restrepo, Álvaro Enrigue, among others, stood out from the programme. There were discussions and conversations on a broad variety of topics. Different kinds of activism in the 21st century had a big presence: the Quantum Era (José Ignacio Latorre), climate change and environmental issues, economy (Deirdre McCloskey), phisolophy (Wolfram Eilenberger), music (Joselo Rangel, Jacobo Celnik), journalism, gender and violence (Lydia Cacho), meditation (Kankyo Tannier), and many more. Jericó (January 25th and 27th) had notorious people on stage, such as Carlos Magdalena, Sabrina Duque, Xavi Ayén, Alejandra Costamagna, Ana Roda; Colombian writers Héctor Abad Faciolince, Pilar Quintana, Santiago Gamboa and Juan Gabriel Vásquez; the cartoonist Matador; the poet Horacio Benavides, and the historian Jorge Orlando Melo, among others. Music was present with David Sánchez, winner of a prestigious Grammy Award and Puerto Candelaria, the group in charge of the opening concert for Hay Festival Jericó.